March 10, 2017 March 7, 2017 by Beau H.
I don’t know about you, but I’m happy to report that today’s Friday Read on The Style Guide is coming to you from sunny Florida, where I’m getting some much-needed R&R (and a few Coronas) this weekend. Last time around, I headed to Fort Myers to celebrate a Florida Christmas, and I’m just as excited to be back now. You can, of course, look for a full travel style post incoming on Monday and in the meantime, stick around for a few choice #menswear news items below. Before we get going, layer up for the weekend with the Huckberry Explorer’s Shirt — as profiled on this site last week, in fact. And if you happen to be in a warmer climate, get acquainted with how to wear you new favorite polo this spring. Oh, and you’d do well to catch up with everything you missed on the blog this week, including another entry in our #OOTD series. For, follow along with the warm-weather style gear and my Florida adventures as they happen via Instagram and Twitter. Cheers! Esteemed Esquire style editor Matthew Marden offered up a nice quick-hit look at his fashion week trip to Europe to cover the world of global fashion — and specifically, brands showing both their men’s and women’s collections at once. What does this mean for all of us across the pond? Marden argues that big-ticket brands who show both men’s and women’s collections at the same time — giants like Burberry — create a clear and cohesive vision across an entire brand. That’s quite neat, when you think about it — ehh? 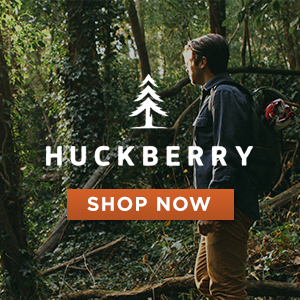 This was alluded to above, but you best listen up now — the Huckberry Explorer’s Shirt is the tough shirt — and shirt-jacket — you need as the weather turns south this month. Pick it up in the crisp Natural colorway, wear it with slim olive chinos and durable leather boots, and call it a day (or rather, get out and have some adventures!). Need a new watch? Of course you do. And Gear Patrol argues that should buy just one — only one of these five investment-worthy watches and wear it all the time, in each and every style situation. If a stainless steel dive watch isn’t necessarily your thing, check out my picks for the best men’s leather watches. While we’re on the topic of new #menswear — need a new spring bag? 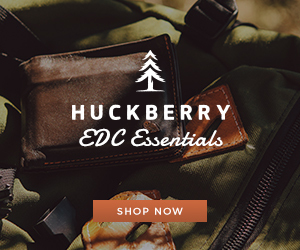 The folks at Timbuk2 just might have you sorted out. What’s that, you say? Tomorrow (that’s March 11th), the brand is launching a new bag collaboration with San Francisco street artist Apexer as part of the brand’s Future Shapers campaign. The campaign is designed to showcase unique individuals who drive forward change in their hometowns — like Apexer, an artist with a history of work across the globe and a commitment to San Francisco that’s echoed by the fact that the run of bags is sewn in the city’s Mission District. The line includes a classic messenger bag, a tuck pack and a compact roll-top bag called the Mini Prospect Pack, all done up in a unique kaleidoscope and textile pattern. And lastly — I had a heck of a fun time putting together a full list of the best men’s denim jeans for GearMoose. I think you’ll recognize quite a few picks on that rundown, that’s for sure. Given that the weather has been so up-and-down, I’d wager you’re going to need a great spring jacket — that’s why I rounded up the best men’s spring outerwear last week on The Manual. Give it a read, suit up and get ready! OK, we’re wrapped up for the week now — get out there and have some fun this weekend! March 3, 2017 March 2, 2017 by Beau H.
So, we’re back again with another Friday Read — and we’ve got a lot of ground to cover, folks! It’s the first Friday Read of March, and that means the Style Guide’s annual Spring Style Wish List is incoming — look for it early next week. It also means we’re wrapping a busy week in the #menswear world, including my latest travel style post covering my trip to New Haven to see Young the Giant! It was an outstanding show, with beautiful lights, great energy and an outstanding set list. That’s a band you gotta see, and soon. If your next show, or the weekend ahead, involves hitting the road as well, grab a stylish leather weekender for the occasion. And if your weekend involves more relaxation than travel, you’d do well to pick up the Flint and Tinder Garment-Dyed Sweatpants, a recent Style Pick entry and as tailored and stylish a pair of sweats as you’ll find. Oh, and as we await the transition to spring, don’t forget to stock up on essential men’s grooming products to keep your skin in shape before that next date. See, I said we had a lot of ground to cover. Of course, there’s plenty of business to take care of NYC this weekend, too — it’s New York City Beer Week, for one, and if there’s a more tightly concentrated metropolis of standout beer, I’ve yet to test it out. For now, let’s recap a few new men’s style releases and some choice news items. Check back tomorrow for the latest Style Pick of the Week, and stay stylish in the meantime! They might already be sold out, but Footwear News is recommending you hit up eBay to track down the just-released J. Crew Nike Killshot; if you’re feeling adventurous, definitely let me know how it goes. Speaking of new spring sneakers, you should certainly check out the Brooks Heritage Grand Slam Collection, a newly launched, retro-inspired footwear offering featuring two crisp silhouettes and style that’ll be wearable with everything from a classic pocket tee to a slim chambray shirt. Getting around with functionality and style in mind can be a tricky endeavor — that’s why the new Timbuk2 spring collection (as I covered recently for The Manual) could be right up your alley. Check it out! I don’t pass up the chance to write about Taylor Stitch very often — seriously. I covered the Taylor Stitch Merino Henley, and why you need it for classic spring style, for GearMoose. OK, folks — let’s wrap up this Friday and try some new brews … see you out there! December 30, 2016 December 30, 2016 by Beau H.
First things first, thanks so much for joining us for the last Friday Read of 2016. It’s been a pleasure keeping this series going on The Style Guide throughout the year — there’s been travel style, there’s been a dose of healthy dose of live music and hopefully, you’ve found some of these #menswear tips and tricks handy. On the second-to-last day of the year, I’m reflecting on all the great things I’ve been fortunate to experience during another full calendar year in NYC (which can feel like a pretty big accomplishment, sometimes). I explored Brooklyn and Manhattan, traveled up and down the East coast this fall, made it back to visit family and friends for a weekend in my home state of Michigan, and met lots of great people through the menswear industry all the while surrounded by amazing family (and plenty of trips back to the Sunshine State) — that’s about as much as you can ask for. To top it off with a relaxing few days in Florida and New York City is as good as it gets. I hope you get the chance to reflect in a similar fashion while enjoying the rest of the year (and New Year’s Eve) in style. I just wrapped up a holiday trip to Florida and I’m spending today prepping for 2017 — if that’s the case for you as well, get some casual #OOTD tips for New Year’s Day and of course, get a jump start on your weekend with the last Friday Read of the year. You can expect a full set of men’s style resolutions for the year ahead on this blog early next week, but for now, let’s see what 2017 lifestyle resolutions the folks at GQ.com are offering up this year. Who doesn’t love a well-constructed, essential and sharp watch? The Armogan Le Mans Chronograph — sold by our friends at Huckberry — is the one to buy — and it’s among my latest posts for GearMoose! It’s among the sharpest watches I’ve seen this year, without a doubt. While we’re talking about the best of 2016, you really should read The Manual’s list of the best albums of 2016, as written by my digital colleague, Terence Praet. Oh, and one last thing — if you’re spending the next few days rooting for your favorite team in a New Year’s Day college football bowl game, refresh yourself on how to dress for football season, will ya? We’re keeping it short today — there’s much to be done before the New Year! I hope you’ll join us for the last Style Pick of 2016 tomorrow — and then we’re onto bigger and better things in 2017! Stay stylish and thanks so much for reading this year! More to come — onward. December 9, 2016 December 9, 2016 by Beau H.
We’re through the end of another week, and we’re just a bit closer to Christmas — if you’re one who celebrates the holiday season, that is. It’s also a great time of year in the menswear world — it’s time to drop a few hints about your men’s style holiday wish list, it’s time to gear up with stylish snow gear, and it’s time to get a big jump on your holiday shopping for her. With all those wheels in motion, it made for an extra-busy week at The Style Guide. It kicked off with a really neat, special Monday night — it’s not too often you get the chance to check out a band as big as Bastille in a venue as intimate as the renowned Bowery Ballroom, but the lauded British indie pop band returned to NYC to make up a special show originally scheduled for October. It was a fantastic night of live music — lead singer Dan Smith is smooth, poised and energetic, with a great band behind him. They played their way through one of the best pop albums of the year — that would be “Wild World” — with a few slightly older hits (“Pompeii” among them!) thrown in for good measure. Songs like “Warmth” and “The Currents” really shone through in a live setting, too. It was a treat to see them in such an intimate venue — and it was even better to catch them the very next night at Manhattan’s cavernous Pier 36 for the very cool Pandora Holiday Live event, which also featured scores of fans on-hand for Bishop Briggs and the energetic (if divisive) British mega-band The 1975 , a group who seem to be everywhere nowadays. If you can, I’d definitely recommend catching Bastille at one of a number of festivals this summer — they’ll surely be there! While summer festival season sounds mighty nice right about now, maybe you’ve got to dress in style for your holiday party, or get a jump on the weekend, so let’s get on with it — we’ve got you covered with this week’s #menswear news. A standout giveaway from everyone’s favorite lifestyle site. Alright, so this is a pretty big deal. 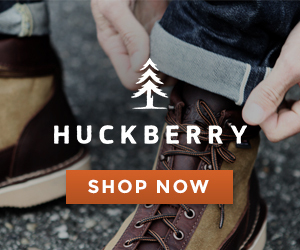 Purveyors of a stunning mix of men’s lifestyle and style goods, Huckberry is doing it big this holiday season with its Golden Holiday 2016 contest. 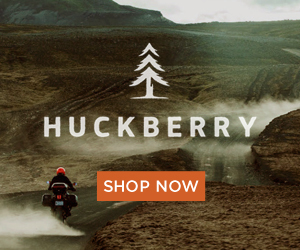 It’s four straight weeks of neat holiday prizes you can only find at Huckberry, running from now until December 18th. What was last week’s prize? A sweet Secret Agent kit featuring some seriously stylish tailored gear from Trumaker. And this week’s prize? Potentially even cooler. It’s a bespoke sailing adventure — yes, you read that right — on a private yacht around one of a handful of beautiful locations: Maine, the British Virgin Islands, Croatia or Greece, all thanks to Huckberry partners Sailing Collective. Now, how to enter? 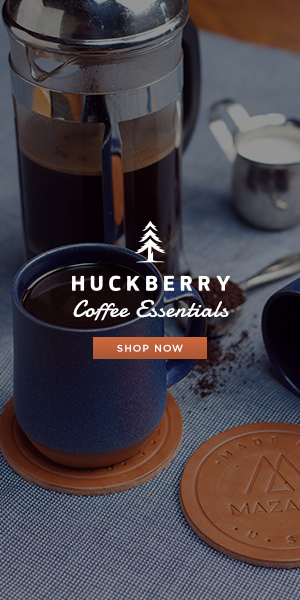 Those who place an order via Huckberry this week are in the running — every purchase gets you Coal Hard Cash, which you can redeem 24 hours after said purchase to find out if you’ve won Huckberry credit (up to $500!) or, better yet, the incredible top prize (no exaggeration here). But wait! There are two more weeks of prizes upcoming! Yes sir, that’s right. Does it get any better? 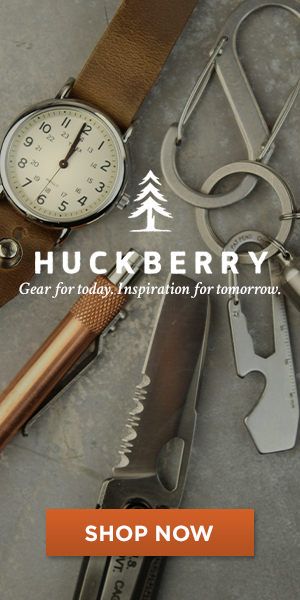 Learn more, buy away & enter at Huckberry. Want to mix a few more pieces with some high-fashion edge into your wardrobe? That task just got a little easier thanks to a new collaboration between Greg Lauren and Banana Republic. Although at first it might seem unlikely given Lauren’s penchant for distressed, luxurious takes on style essentials, it’s a partnership through the Council of Fashion Designers that resulted in a 16-piece capsule collection. Of those 16 pieces, there are quite a few that are, well, pricey (a $3,000 cashmere overcoat, anyone? ), but it’s a neat blend of the traditional and the unexpected that you should check out via the above feature at GQ.com. In sneaker-related news, your favorite Brooklyn sneaker brand — Style Guide favorite GREATS — is releasing an outstanding, sleek and stylish take on its lauded Royale silhouette. The good news for those of us who like to break out sneakers until the first snowfall hits? The new version of the Royale comes in a seasonally appropriate, deep navy blue “Jeans Suede” color that would team quite effectively with your favorite crewneck sweater and a trusty chambray shirt on casual winter weekends (sans snow, of course). Want to read one more feature before the weekend? While we’re talking about stylish sneakers for your next warm-weather vacation, you’d do well to pick up the SeaVees Hawthorne — it’s my latest footwear feature at GearMoose. Warm weather awaits! 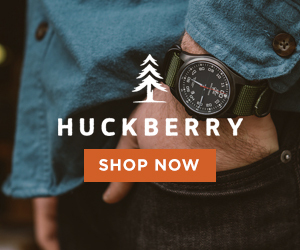 Now, we’ve reached the end of the Friday Read this week — enter that Huckberry giveaway ASAP and add a few pieces to your Men’s Holiday Style Wish List now! October 28, 2016 October 30, 2016 by Beau H.
Last week on The Style Guide, I wrote about hitting the road to head to Providence to see Local Natives – what a trip it was, and what a concert to experience. This weekend, I’m again prepped to hit the road for an equally special trip back to my home state of Michigan! I’ve jetted back and forth a fair amount for everything from a Grand Rapids bachelor party weekend to a Detroit-area wedding (dressed in style the whole way, of course). However, I’ll be dressed for a Midwest fall this time around. Yes indeed, this weekend’s trip brings me back to maybe my favorite place in the world – the campus of Michigan State University in East Lansing. For as many great experiences as one can have in a big city like New York, it’s always refreshing and rejuvenating to return to a place that holds so many memories. Of course, in addition to hitting up renowned East Lansing locales like HopCat (and snapping some #menswear photos), it’s a big weekend in another respect. We’re talking Michigan –Michigan State, a football rivalry with an off-the-field intensity that matches the competition between the sidelines. From my days at the student newspaper taking on Michigan’s student newspaper in what could lightly be called “two-hand touch” football through to now, it’s a rivalry that’s a heck of a lot of fun to be a part of – particularly when plays like this one happen. My beloved Spartans have struggled a heck of a lot this year, but it’ll be interesting to see which team shows up on Saturday – to say the least. But enough football, right? It’s time to recap a few choice items in the week in #menswear, including how to wear an undershirt this season (check it out below). Oh, and stay tuned for our Style Pick of the Week tomorrow. For now, I’ll leave you to it. Wondering how to buy and wear an undershirt? The right way? Check out this graphic courtesy of Tommy John. Alright, so it’s Friday. And it’s fall – it’s getting colder bit by bit out there. We could all use an extra layer from time to time – that starts with something like a stylish cardigan, and that carries through to durable socks and of course, an equally durable undershirt. Some guys are anti-undershirt, but you certainly need something made from quality fabric and featuring a proper fit. That’s where the folks at Tommy John come in – they were kind enough to share this solid infographic covering all the in’s and out’s of how to wear an undershirt and what to look for in the right one; by the way, you can pick up a Tommy John undershirt while we’re here. Very handy to have when it gets chilly this winter – after all, you might need another layer underneath your slim chambray shirt to stay warm, ehh? If you haven’t yet completed shopping for your fall style wish list — mine keeps getting longer and longer — you might want to check out the latest from The Hill-Side; I covered the launch of the brand’s autumn collection for The Manual, and it’s chock-full of durable outerwear, premium shirting and tough sneakers, all done in the excellent fabrics for which the Brooklyn-based brand is known. 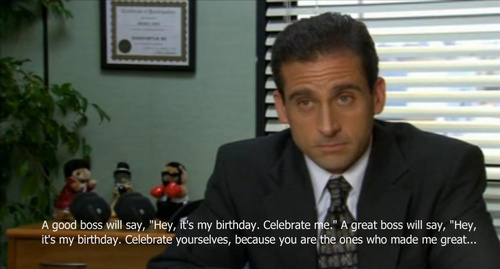 Get on it, will ya? We’re all about the basics at The Style Guide, and well-designed basics that help you live your life better are to be applauded. That same mindset can extend to the technology you carry with you every day — yes, your phone. The Killspencer iPhone 7 Veil is a slim, durable cover that adheres quickly and easily to the back of your phone. Again, it’s a small upgrade that’ll extend the life of your device — and you can read more by yours truly at GearMoose. We’re keeping it shorter than usual this week at The Style Guide — it’s time to hit the road! Follow along with this weekend’s menswear and football-related action on Instagram and Twitter, and check out a full travel style recap on Monday. As always — stay stylish, and thanks for reading!